Joe and June started Children's Clothing Company 30 years ago. They are now both age 65 and are interested in retiring. Their daughter Susan is currently the company president and their son Michael is the vice president of marketing. They have two other children, Spencer and Ellen, and both of them have decided to pursue other careers. 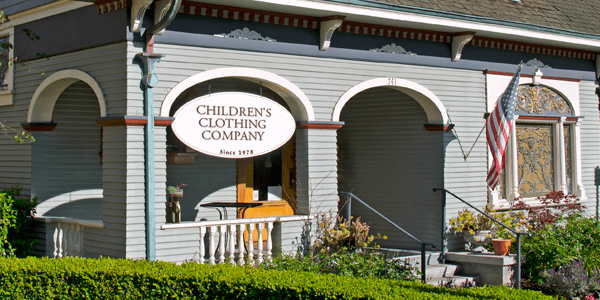 Children's Clothing Company is a C corporation. It has both voting stock and non-voting stock. There are 1,000 shares of voting stock and 20,000 shares of nonvoting stock. All of the shares are currently owned by Joe and June. Children's Clothing Company struggled like many new businesses in the early years. However, they now have gradually increased their sales and opened four new clothing stores. The company has now paid all of its debt and has $800,000 in reserve. Joe and June realize that they eventually will want to retire and transfer the business to Susan and Michael. After talking about this between themselves, they decided to visit with their attorney Linda. Before the meeting, they wrote down their three principal objectives. They would like to have secure retirement income, transfer the business to Susan and Michael and provide a fair inheritance for Spencer and Ellen. Joe: "Thank you for meeting with us Linda. As you know, we now are thinking about ways to transfer the business to Susan and Michael." June: "Yes, both of them are doing well. Susan is a good manager and Michael has always had a gift for sales. We think it would be good if we could find a way to move the business to them - perhaps over several years. We don't want to give up everything at once, but it would be good to get that transfer started. Plus, we want to provide a fair inheritance for Spencer and Ellen. With the business and the number of years that Susan and Michael have spent building the business, they may end up with a larger total value, but the rest of the inheritance should still be fair." Linda: "That's very understandable. A good concept is to give part of the business to Susan and Michael. The balance of your stock can be transferred over several years to a special trust. This trust has the ability to receive that stock and sell it tax free back to the corporation." Joe: "And so as we give part to Susan and Michael and then sell stock back to the corporation, they will need to make the business productive. That is good. They should learn how to run it and be successful. That will help them learn more about the business and I like the idea that they would earn part of their value." June: "But how does this gift and trust work?" Linda: "First, the gift. We can set up a special agreement called a family limited partnership (FLP). You can transfer part of your stock to the FLP. Because there are discounts for minority interest and lack of marketability, it will be easier to make gifts of that part of the business to Susan and Michael. We will need to have an appraisal every year and then you can make transfers of FLP interests to them." Joe: "That's okay. I am open to that idea, but we are only going to use the non-voting stock with that part of the plan. June and I plan to hold on to the 1,000 shares of voting stock for a number of years." June: "So that's the first part with stock going into the partnership and then being gifted to Susan and Michael. Tell me more about the second part, especially how the trust can give us a good retirement income." Linda: "This trust has a special name - a charitable remainder unitrust or CRT. We could set up a trust that would pay you 5% for your two lives. Every year, you can make a gift of stock to the unitrust. The unitrust can hold the stock for two to four weeks and sell it back to Children's Clothing Company. You will benefit from an income tax deduction each year for about one-third the value of the gift." Joe: "I can see why that would be great for us. We will get our tax deduction from that charitable trust and also receive good income. How does this help Susan and Michael?" Linda: "There are great benefits both to you and to Susan and Michael. As you mentioned, Joe, you will receive a very good charitable deduction each year. But when the trust sells stock back to the corporation and receives cash, that stock is held as "treasury" stock by the business. You will give a portion of your stock to Susan and Michael through the FLP. Most of the rest of your stock will be transferred to the trust and then sold back to the corporation. We call that a redemption of the stock by the corporation." June: "How long will this plan take?" Linda: "Let's plan on three to five years. It will depend in part upon the success of Children's Clothing Company. The more cash flow that is produced each year, the larger the block of stock that you can give to your trust and then sell back to the company. If the business continues to grow and be successful, it may be possible to complete the plan more quickly." Joe and June did set up a charitable remainder unitrust and a family limited partnership. They gave half of their non-voting stock to the FLP and started making a gift of shares of nonvoting stock each year to the unitrust. The same appraiser valued the stock for both the gifts of the FLP units to Susan and Michael and the gifts of stock to the charitable trust. The charitable trust received about $400,000 per year of nonvoting stock. It held that stock for a few weeks and sold it to Children's Clothing Company. By making the gift of $400,000, Joe and June received a charitable deduction of around $140,000 per year. This saved a very substantial amount of taxes. Plus, when the stock was sold back to the company there was no recognized capital gain, saving additional taxes. With the transfer of half the stock through the FLP and the gifts to the unitrust with stock redemptions by the corporation, Susan and Michael eventually ended up owning all of the nonvoting stock in Children's Clothing Company. Joe and June still held the 1,000 shares of voting stock and planned to leave a bequest of that stock to Susan and Michael. Joe and June were pleased with the progress of the "charitable bailout" plan. They had a substantial retirement income from the trust and the stock in the business was being transferred to Susan and Michael. But they wanted to fulfill their third objective and provide a fair inheritance for Spencer and Ellen. Because Joe and June were both in reasonably good health for age 65, they were able to set up an irrevocable life insurance trust and purchase life insurance. They selected a whole life policy that will be funded over a number of years. Joe and June take some of their income and tax savings each year and make a gift to the trust. There is a special power that allows Spencer and Ellen to spend that gift for a period of 30 days. Because Spencer and Ellen eventually want to receive the insurance proceeds, they allow the funds to stay in the trust and then be used to pay the premium. When Joe and June pass away, there will be no estate tax and no income tax on the inheritance for Spencer and Ellen. The insurance trust inheritance may not be exactly the same value as received by Susan and Michael, but that's acceptable in the view of Joe and June. Susan and Michael have contributed to the business for many years and the substantial insurance proceeds will be a tax-free inheritance for Spencer and Ellen. Joe and June turned 75 and they are enjoying their sunset years. Joe: "This has been a good plan. We have our IRA, our Social Security and now are receiving excellent income from our unitrust." June: "It's also been wonderful to watch Susan and Michael blossom. They have opened another store and the business is continuing to grow. I especially appreciate the fairness of the rest of the inheritance plan through the insurance trust. We have transferred our business to Susan and Michael, but still provided a very good inheritance for Spencer and Ellen. All and all, we can be very thankful that we had the opportunity to visit with Linda and create this 'charitable bailout' plan."